Blue Angels Sanctuary--Come in and explore my "Blue Heaven"
"I don't much care where -- " said Alice.
" -- so long as I get somewhere," Alice added as an explanation. 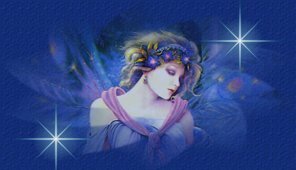 Please feel free to wander around, make yourself at home... Be sure to visit my Twin Flames page, it lists friends, both old and new....perhaps you're on it. The Wyzdm link leads to some of my favorite poems, quotes, and the odd lines that I've heard that just stuck me with their blinding brilliance....The Peace Pages contain many thoughts and prayers for peace...The HTML Help page offers tips for designing a website of your own and also includes some great links to pages that can help you get a polished look. The Rings page displays some of the web rings that I belong to. The The Ladies Room offers some female insight into life, love and the pursuit of happiness. Hi Ho Hi Ho It's off to work we go...Check out my new Work Laffs Page with some inspirational tips on how to avoid work. All graphics and content � Blue Angel 1998-2005 unless otherwise noted.